So it seems that tea parties are really stepping up a notch these days. There are plenty of fun gimmicks and activities involved in a tea party. So to help you out, I've compiled my pick for the best web resources for tea party themes and ideas. - from the party details down to the invitations, this site has it all! Great ideas and very chic and modern too! I like that they have helpful information on the history of tea party, types of tea and so on. - very appropriate for little girls and little boys, unique suggestions on activities during the tea party celebration. 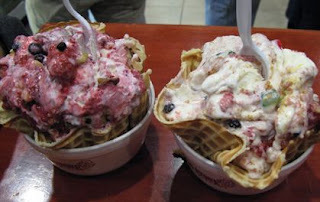 - They have very helpful guides on different themes on tea parties. 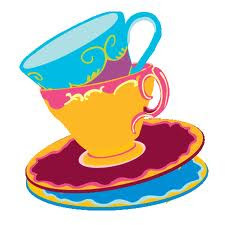 I hope my top 5 Tea party themes and ideas web resources will be of great help. To make your tea parties successful, choose among our girls party dresses for the best tea party dresses! It's affordable, comfortable and appropriate! The ladies wore amazing evening gowns that are all well tailored and well represented by each of the candidates. We were watching out for the usual Miss Universe blunders but there were none. All candidates were so pretty and glamorous that the judges must have the hardest time picking the winners. In line with the Miss Universe 2010 Pageant, we are having Glitz and Glamour Party Dress SALE for the entire week! Choose among the glitzy and gem-like dresses now. 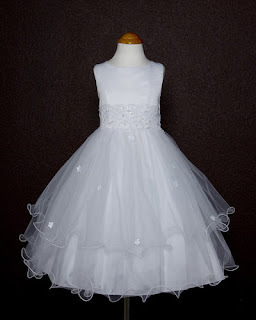 I say it's popular because Girl's Beautiful White Organza and Satin sleeveless formal dress with lace detail at waist has been getting lots of shared clicks (from the share button I added on the product pages)! A truly lovely dress for your daughter on her First Communion, on weddings and other special occasions. This dress will make every occasion special! The color and design of this girls white dress reflects the innocence and joy of children. Babies can wear them too! 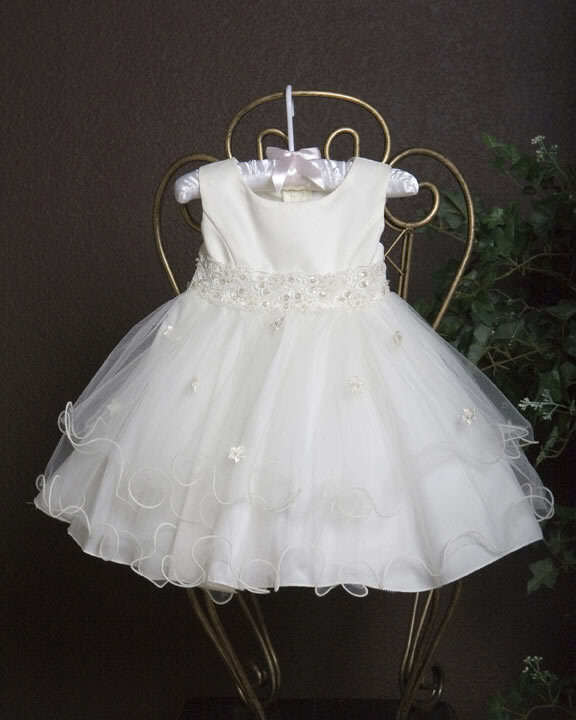 Look how cute the baby sized Girl's Beautiful White Organza and Satin sleeveless formal dress with lace detail at waist is! So what are you waiting for? 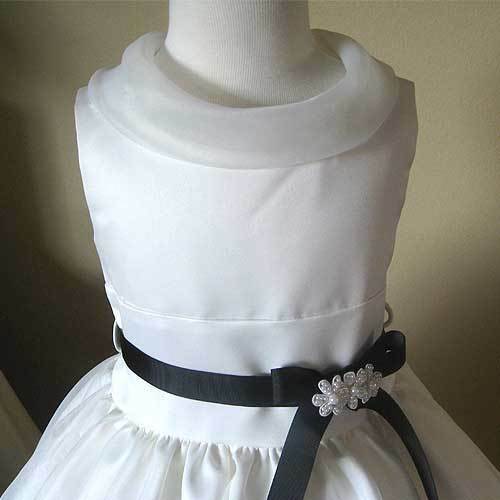 click here and order this pretty girls white dress now! Join the Tea party fun with our affordable girls party dresses and tea party dresses! Did you know that tea parties could teach your kids proper etiquette, it could also instill camaraderie among her friends. The Princess Syndrome- Is Treating our Kids like a Princess will Do them more Harm than Good? As parents you love to treat your daughter like a princess. But an article I read recently, posed a question whether parents nowadays are teaching children to be primadonnas by treating them like a princess and those little girls are growing up narcissistic and thus overspend on girls stuff. Personally, I think it's a parenting issue on how you're rearing your daughter to be. We can always explain to our children the value of money and we can always teach them not to be materialistic. It's how as parents we convey the positive side of the princess persona -- or princess culture as this article put it. One thing is sure though, letting your daughters wear nice girls party dresses doesn't equate to spending huge amount of money. 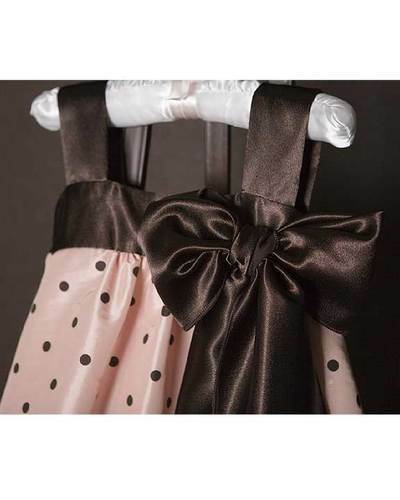 Check out our girls party dresses collection and be amazed of how affordable girls dresses could be. The use of different colours on a wedding theme is gaining popularity all over the wedding world. Nowadays, brides want their wedding to be hip, chic and upbeat. They want splashes of colours everywhere! Mix and match colours depending on the season of your wedding. Winter weddings could have purple, mauve and dusty rose which is inspired by the solitary feel of the winter season. Spring weddings could have cool sea colours like Turquoise, Orange and White or get inspiration from the splashes of sunshine with Light Yellow (Aurora), Bright Blue (Amparo) and Champagne (Pink Champagne). Summer or Fall Weddings can have Corals, Burgundy and White. Earth colours such as Brown, Orange and Gray will also be nice for Fall weddings. In truth, the colour combinations you choose for your wedding is no one’s decision but yours. 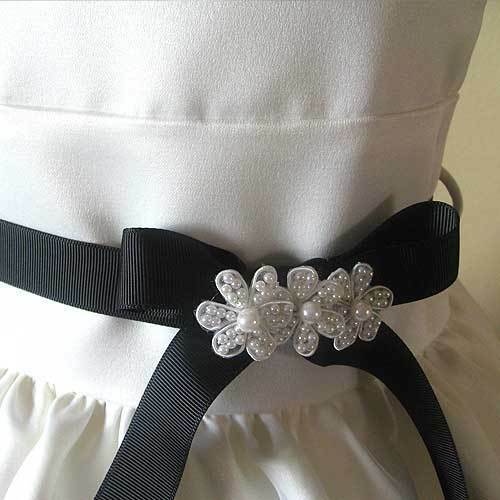 It is your special day and you alone can decide which flower girl dress colors speak more about yourself and your husband. A little break from the love talk brought to us by the upcoming Chinese Valentine's Day on the 16th. I would like to talk about the issue on dressing toddlers with black formal dress. Some folks (Chinese and non-Chinese) would say that it's bad luck. But is it really? What is the basis? Tradition and customs. I don't know really. When my teen daughter was younger, my wife tried putting on this really nice black toddler dress that she was selling that time but my Mother in law had other thoughts and a strong one at that. How about you, do you allow your kids to wear black? One of the sweetest and coolest way of spending Chinese Valentine's day is treating your love one/s to your frozen yogurt store or if you are a bit braver, why not gobble a good serving of mixed (tepanyaki style) ice cream. And at night, share dreams and sweet nothings while star gazing and surprise her with a bouquet of flowers before calling it a day. For high quality and affordable girls chinese dresses, visit us at www.elitedresses.com and celebrate Chinese Valentine's Day with style. Chinese Valentine's Day is also known as Qixi Festival (means The Nights of Sevens) or sometimes Magpie festival. It is celebrated by the Chinese every seventh day of the seventh month on the Chinese calendar. This is not a public holiday in China but it's very popular to the young ones. This year, the celebration falls on April 16, 2010. And although most of those who participate it are young people, they still do traditional practices such as ladies carving melons and then wishes for a good husband. The ladies also do the needle test wherein they put a needle on a water and when it stays afloat is means that the lady is matured and is ready for marriage. On this day, lovers go to a temple of Matchmaker and pray for a happy and loving relationship or marriage. mainly because on earlier times, ladies are said to wear their finest traditional Chinese dresses and showcase their domestic skills like carving, cooking, baking, quilting so men would know how they will be as wives. On modern times, this showing of skills had waned off because most young couples are open to shared domestic duties. So what's your Chinese Valentine's story? I have noticed that even non-Chinese schools in the US are starting to embrace the Chinese culture by celebrating Chinese theme events and celebrating major Chinese Festivals. This August, 2 Chinese Festivals are lined up. It's Chinese Valentine's Day on August 16 and on August 24, it's Hungry Ghost Festival (or the All Soul's Day counterpart). So in the coming days expect that I will be posting more about these nice Chinese festival and how Chinese celebrate them and of course why. To give you an idea, the best seller color for my Chinese dresses are Hot pink and Purple Chinese Traditional Dresses. And we hope we could do more of these because it's fun and pretty! Sharing the great bargains, great dress you find at Elite Dresses is now easier! You can search for the social media site of your choice at the search bar as seen on the screen shot and share the Elite Dresses page to your friends and family! If you are a twitter addict like me, you can simply click Tweeted button or Like button for Facebook! Simple and easy! This is so much fun! And I hope you find the sharing buttons convenient too. You want your child to look casual and play-ready when she gets to school. You don't want her to get irritated and distracted with itchy and uncomfortable clothing. Let her enjoy school to the fullest and choose girls dresses that are airy, light and chic! 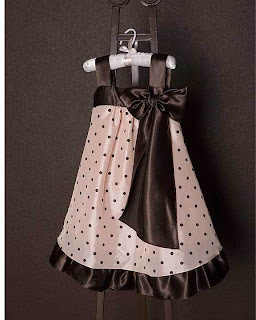 Like this pretty pink and brown ensemble that will surely make your child smile and giggle her way to school. The ribbon on one shoulder adds a nice touch to the dress. 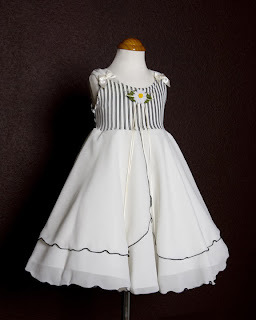 This is a perfect dress for young students. This girls dress does not need too many accessories because the polkadots are enough to accentuate the dress. For more dress choices, head on to our Back to School Sale and avail of the cheapest back to school dress deals! I am conducting a very short survey about Do you approve of young girls wearing black formal dresses in very formal events? Please take time answering the survey. It's very short and no registration required. Just tick your answer and you are done! 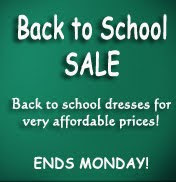 By this time you might be looking for deals for back to school dresses and other back to school essentials. Before you head out, here are few things to guide you while you shop for your daughter's back to school dress. We know that the kids want to go back to school with a dress that rocks but make sure it's rocking the dress code too. Best way to do this is to go to your child's school or check your school district website and re-read the dress code. I've been also out window shopping for my teen daughter's back to school outfit but I am truly shocked to see that most of the stores want my daughter to dress like a 25 year old instead of 16! And of course not to mention that most of the dresses are either too short or too uhmmm...daring. For little girls, stick with comfortable fabrics, light and airy. You would want them to be able to move around without sweating too much. Light colors would be okay too and even earth colors which is perfect for fall! Most of all, let the children keep their youth and let them enjoy ribbons and colors! As an online shopper myself, I am familiar with the issues on purchasing items online especially if you are a first time buyer from that specific webstore. To address this, I am an advocate of an easy return and easy exchange policy to help my clients feel secure and buy with confidence (and peace of mind). The bride to be needs to worry more important things and I don't want to add on to her burdens. I just added my first ever sundress in my collection and I hope you'll love it as much as I do! The fabric is comfortable and airy, perfect for a summer escapade. I've given this dress to a friend's daughter as a gift. We had a summer barbecue and the little girl loved it! :) She did put a smile on my face too for saying her cute thank you.